Micromax has come up with an all exclusive IIFA edition of Micromax Q55 Bling mobile phone. The company claims IIFA edition of Q55 Bling infuses style craftsmanship that embeds an expensive made with Enlightened – Swarovski Elements its all Black swivel phone with a Compact Vanity Mirror and a soft matted QWERTY keypad. 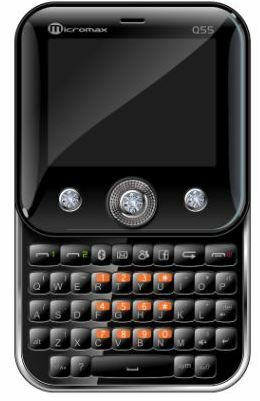 On the other hand Q55 Bling has high performance features like One-Touch launch of Face book, MSN, Multi Instant Messenger Nimbuzz, Opera Mini Browser, Bluetooth, messages and a 2MP camera. you can also try satguide it also provide the same function but in a better way.